Jabra's packaging is simple and effective. A slip-in outer shell reveals the full-yellow inner box. On the inside, the headset is padded in foam, covered by the 5-minute quick guide. Accessories includes 3 EarGels (TM), 1 removable GelHooks, 1 short USB cable. All the accessories are in black, just like the earbuds, offering a blended look for the wearer. Due to somewhat the shape of my ears, it is always a challenge to fit headsets that goes around my ears. But the flexible silicone GelHooks are pretty comfortable, I must say. The Step Wireless features an angled speaker driver, and I find myself trying to stuff the earbuds into my ears while keeping the GelHooks behind the ears, which was not correct. The purpose of the GelHooks is to keep the earphones on your ears while you do your workout and alleviating pressure on your ear canals from supporting the earphones. So instead of forcing the earbuds into my canals to form a vacuum seal, I should just rest outside the canal. The EarGels provide cushion and keeps out some ambient noise while you listen to the music. It is not supposed to provide tight noise isolation, so if you are trying to achieve that, then you're wearing it wrong. The voice prompts are minimal unlike other pricier Jabra models. When turned on, you are greeted with "Hello". When you turn off, you hear "Goodbye". Other operation indicators are presented with beeps, for instance, when adjusting volume, when battery is low, when paired to the device. A minor issue is that the battery low audio indicator comes in mere minutes before the headset goes dead, leaving you little time to reach for a power source outside. 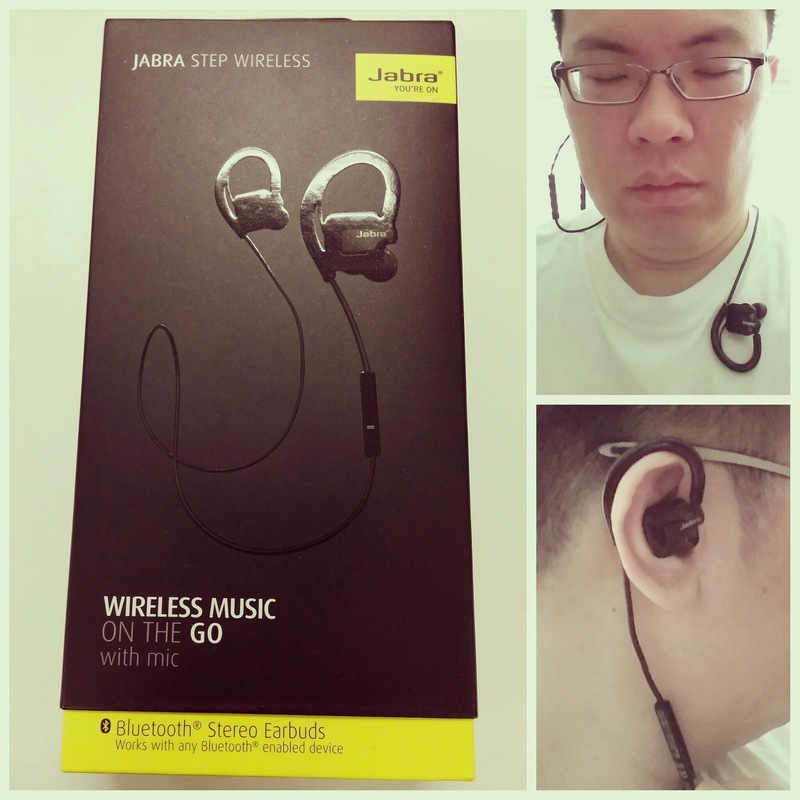 Jabra positioned the Step Wireless as an entry-level daily-use product, but I thought it was really well-designed and well-priced. I like the no-frills maintenance: just throw the headset in your bag for there is no fear of breaking the removable GelHooks. If you don't like the GelHooks, you can remove it and loop the wires naturally behind you ears. The Jabra Step Wireless has got the right balance of functional features at a low price without sacrificing quality. That's what you get when you buy a brand with decades of experience in wireless portable audio headset.